In his first article for The Science of Comfort blog, Mammoth’s Fatigue and Human Performance specialist Dr Jonathan Bloomfield introduces himself and explains why it’s never been more important to understand the science of sleep. It’s great to be here writing my first piece for Mammoth in my new role as Fatigue and Human Performance specialist. Over the coming months I’m looking forward to sharing some of my own knowledge and expertise here, as well as investigating some of the challenges that we as human beings face in the 21st century – challenges that brands like Mammoth are dedicated to tackling. I’ve studied closely the influence sleep plays in the role of recovery for over 10 years and have performed several sleep and fatigue-related projects since 2007. I find it interesting that as children, we are taught about the benefits of healthy eating and physical activity, but sleep is something we learn very little about. Indeed, there is no formal training or teaching on the restorative processes associated with sleep. Yet we live in a non-stop world today. This generation is frequently referred to as being time poor. In fact, it’s becoming more difficult than ever to deliver sustainable results in dynamic environments due to the constant battle for time and energy stretched across work, family and health agendas. However, people are beginning to wake up to the need for self-management of lifestyle. Once we acknowledge that we cannot function at full gas, 24 hours a day and 7 days a week, then we must look towards a way to effectively manage our time and look towards a more sustainable way of life – for our bodies and for our minds. I have been involved in supporting Human Performance for the past 15 years, working across a number of different sectors including sport, business, healthcare, heavy industry, policing and entertainment. 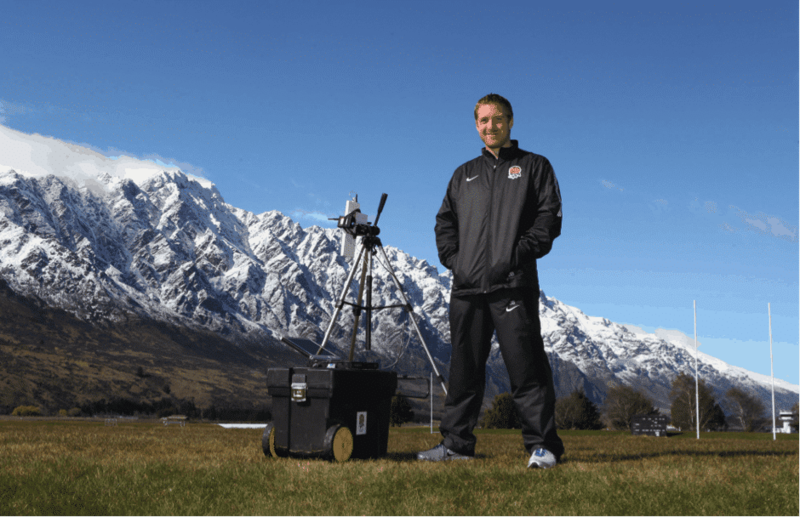 For the majority, I built my career in High Performance Sport and have delivered on a range of roles, including fitness, analysis and sports science, in multiple sports environments. This has included International Rugby with England, International Football with my home country of Northern Ireland, with European Tour Golfers and with several athletes that have competed at World Championships, Olympics and Paralympics. A large portion of my work has involved “quantifying load” – producing scientific measurements of both the amount and the quality of work performed by an individual, and their response to those exertions in the period after workload – what is typically called the “recovery” period. Nowadays, it’s common to hear Premier League football managers and International rugby coaches mention that word in their post-match interviews. In fact, “recovery” and “fatigue” are crucial to any sporting team’s plans to improve human performance. Fatigue can be characterised as a consequence of mismanagement of energy. It crosses both physical and mental performance and impacts profoundly on behaviour. We don’t just see fatigue on the sports pitch or in track and field, we also see it in everyday life where workers’ productivity drops as a result of poor energy management and, in serious cases, burnout. “Fatigue is a state of feeling tired, weary, or sleepy that results from prolonged mental and physical work, extended periods of anxiety, exposure to harsh environment, or loss of sleep”. Sadeghniiat-Haghighi & Yazdi (2015). Fatigue management in the workplace. Ind Psychiatry J; 24(1): 12–17. To put it simply: we are very poor regulators of our own levels of fatigue. The problem with being constantly tired – as is the case with people who sleep too little or experience poor quality sleep – is that our judgement becomes skewed. The body adapts to that feeling of being constantly tired until we reach a point when being tired feels normal. Once we forget what feeling fresh really feels like, we just pull our socks up, accept that tiredness is normal and get on with life. For a human performance specialist such as myself, this phenomenon in society is both fascinating and troubling. Under these circumstances, fatigue eventually becomes dangerous and can lead to human error in many cases. Take, for example, major disasters such as Chernobyl, Three Mile Island and Exxon-Valdez – all of these have been attributed to human error associated with fatigue. While these cases may seem extreme, think how many minor errors might be cut out in the workplace if every member of staff was getting sufficient rest. The aim of my future blogs will be to explore more of the science behind sleep and fatigue as well as lay down the practical applications we should all be doing to better manage our own fatigue. I hope that through these articles I will help to illustrate how improved performance over time can achieve a marked improvement in many aspects of life. Until next time, sleep well! This entry was posted in All Articles, Dr Jonathan Bloomfield, Expert Advice, Sleep Science. Bookmark the permalink.